If you have not yet been in the La Harpe Historical Society Museum, you need to go. There are 155 very unique paper weights on display. 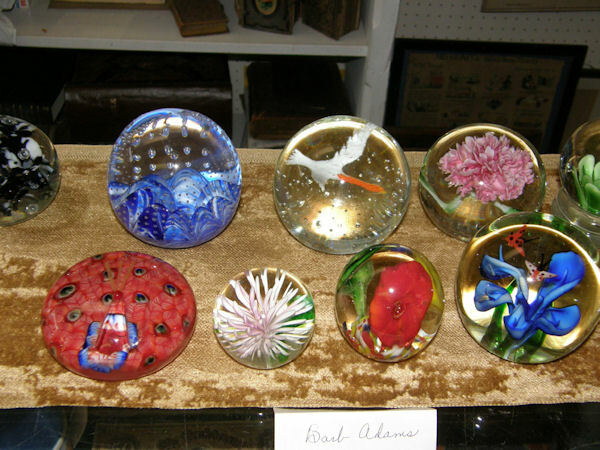 These paper weights were graciously brought in by Barb Stewart, Myrtle Fife, Elsie Magin, Barb Adams, Joan Siegworth, Bev Anderson, Virginia Rich, Jayne Eckhardt, Lois Bradshaw, Dan Gillett, Wayne Humphrey, Kenneth Nudd, Darleen Bennett, and Ada Hubbard. Dan Gillett brought in a coffin paper weight that dates back to Maurice Rodden Funeral Home that was located where the nursing home stands today. A couple other ones that are very antique and unique looking came from Kenneth Nudd. One was of Farmer Nudd at the farm house located 2 miles south of town. This particular one was dated 1897. The other one was of Castle Bridge located one half mile north of La Harpe. This one dating back to 1900. 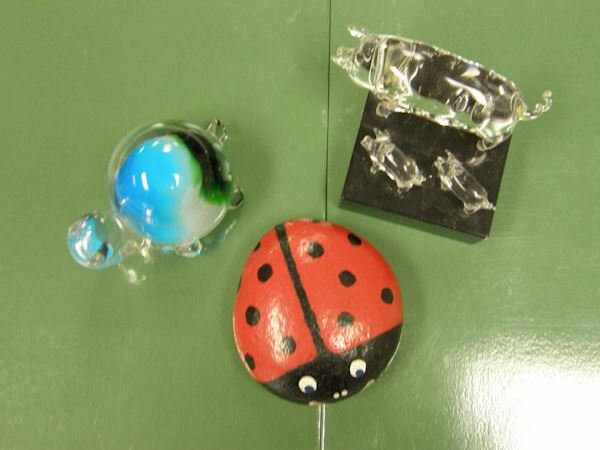 The ladies at the Historical Society are very pleased and appreciate so many bringing in a few of their paper weights from their collections to be on display.